Thanks for the excellent live blog. I especially enjoyed the food pictures and menus of the specialty dining. I have been on only one Celebrity cruise but it was on the Edge. I had an onboard credit so we tried the French restaurant for Lunch and the garden grill for a Lunch. We managed to try three different main dining rooms for dinner on our 3 night preview cruise. I might have to consider a suite next time on Edge or one of its sister ships that will be arriving in the future. I was in an infinite verandah on my Edge cruise. My wife and I are booked in a balcony in concierge class on the Equinox post refurbishment. It was only $100 more than regular non obstructed balcony. I would love a photo of the bar at the aft of the ship. It was one of my favorites. I think it was the sunset bar. You can watch the wake from the ship as your are sailing along and it's just around the corner from the rooftop garden. The best was the blinds or black out shade for the balcony, being able to raise or lower that from the comfort of your bed via the app. They are building four other sister ships so maybe one of them will eventually sail in the summer in the Caribbean. I always forgot about the pizza station in the Ocean view café since it is in the aft of the dining area separated from everything else. I never got around to trying it. My wife and I really enjoyed our 3 night Bahamas preview sailing in December. So, I will definitely will be following. We need a longer cruise on Edge. I thought about this too. I am curious if the al a carte options would be included. Hopefully we will know soon from Royal or based on someone's personal experience. Welcome. I am sure you will be a cruise addict like the rest of us here. This is a great place to share your experience, ask questions, etc. I would expect that they would let people start boarding the ship between 11:00 and 12:00. Most of my experience is on Caribbean cruises but 11:00 would probably be the earliest. Have a great time. Your Starbucks options are to detour into Merritt Island or down A1A into Cocoa Beach. Otherwise you can wait until you board if you are on Mariner. I would guess your travel time should be around an hour or slightly more even during potential rush hour. Definitely consider the toll road option and use an app that accounts for traffic for the ideal route. BOGO specialty dining package experience? You can change your bookings the ship assigns you once you are onboard. I have run into a situation where a specialty restaurant was not available due to a group event that booked the entire restaurant. I was able to get the restaurants I wanted but just not my preferred nights. 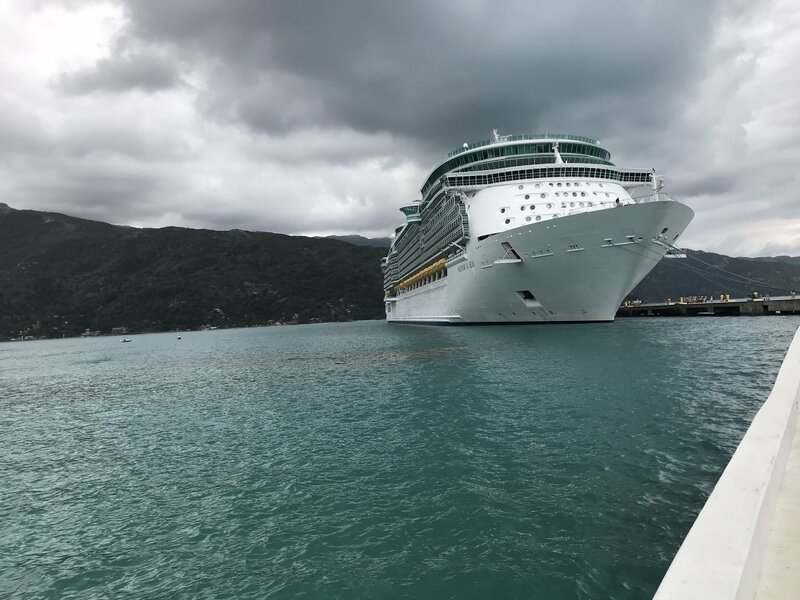 If you want a very specific time or a certain restaurant on a certain night then this might not be for you but they are generally quite flexible if you go to one of the specialty restaurants to modify your reservations shortly after boarding the ship. Thanks for all the great info here @JLMoran My wife and I started cruising on Celebrity when we were going without the kids. We still go on Royal with the family. We have taken one cruise and have a second one booked. We tend to take the shorter cruises (week or less) because we don't want someone to have to take care of our 7 and 9 year old for too long. We usually book balcony rooms in part due to the price difference not being too much due to the transferred loyalty status of Diamond and they have offered more perks for non inside rooms. We like the perks that have been offered in some of the past sales. It would be disappointing if you can't get the premium drink package which had been upgraded in our past bookings when we paid to go from two to four perks. It's definitely worth keeping an eye on the situation. We don't usually purchase these upgrades on Royal when going with family. Ship board credit what can you use it for? There is always the gift shop if you have trouble spending all of your credit but you can use credit for cruise planner purchases too. Some OBC are refundable and not use it or lose it. I had this happen one time where we had kids in a another room and their OBC credit didn't get used but we were able to get cash at the end of the cruise by going to the customer service desk. My pool in Orlando which is screened in so slightly cooler than a non screened pool was in the low 70s the first week of March and mid to upper 70s by the end of March. It should be at least a few if not several degrees warmer in Coco Cay. For a Floridian that's colder than I prefer but tolerable especially if it is warm outside.